Tea service in North America is almost a shame! We are serving tea the same way we did forty or more years ago. We are long overdue for an upgrade! When I was presented with an institutional mug along with the small metal teapot yesterday, it was as if I was transported back to high school in the 70’s. On the occasions when a teacher was sick, or we felt like ditching, several of us would walk to the nearest cafe and have tea. This was in Canada, and this was not unusual for us, but most definitely would have been for American teenagers in the 1970’s. A pot of tea was about all we could afford! It was thirty-five cents, and you could always get a free refill on the hot water. That’s how we would kill an hour or more in between classes. Tea service back then consisted of an institutional teacup and saucer, a metal teapot on a matching dessert plate, and an assortment of accoutrements; which included honey in little square packages, lemon slices, and a sugar bowl (which often contained sugar cubes) along with a matching creamer. The teabag was Red Rose Tea, and it was always in the teapot when it arrived unless you asked for it on the side. That was my preference because I always drank mine clear. That’s what we called it. For those that used any or most of the accoutrements, it didn’t seem to matter to them how strong the tea was. In most restaurants, you just never knew how long your tea had been steeping before it was brought to you, but I didn’t like strong tea, and I still don’t. What was served to me yesterday was much less than what was served in back then, as you can see in the photo. At least everything was presented on a plate. I haven’t often seen that here in America. Yesterday was a test. When I inquired as to the choices of tea, the waitress returned with a handful of Stash teabags in foil pouches. Yes, she brought a handful! 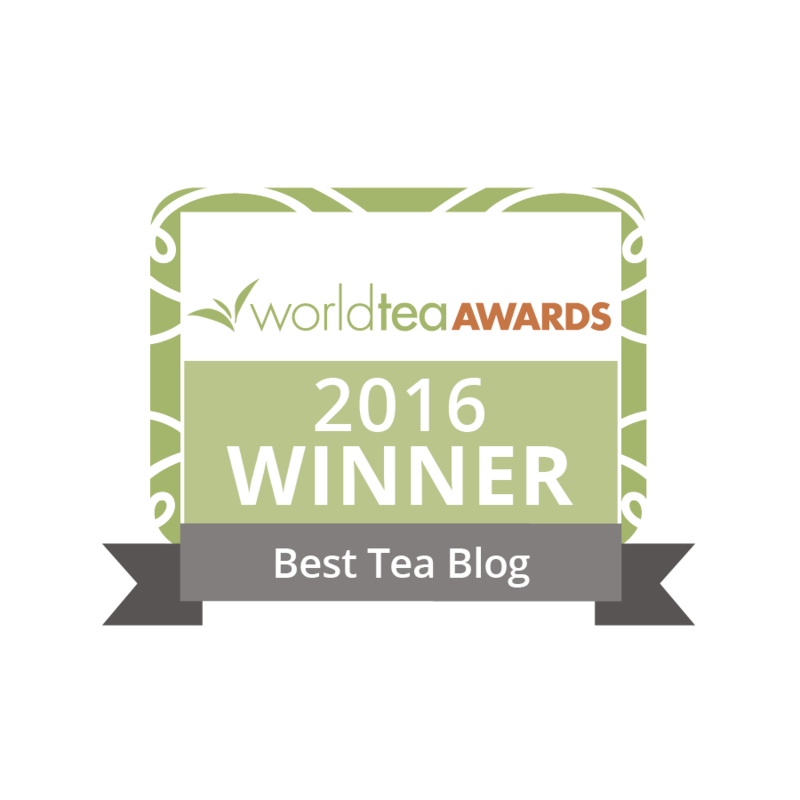 This is not about the brand of tea; it is about the lackluster quality of the tea service in most food service establishments. It is not the server’s fault; it is not the restaurant’s fault; it’s our fault! Those of us in the tea industry are responsible for this. Most of us just do not order tea in cafes and restaurants. Many of us seldom even check the hot beverage section on the menu in certain restaurants. If it’s an upscale restaurant, I do, I check. I ask, and then I usually decline. How many more decades are we going to let slip by before we stop this lousy tea service? Who is taking steps to upgrade the service of tea in America? What is it going to take to have every restaurant consider tea as a legitimate item on their menu? When are we going to say “enough is enough!”? Imagine that you are seated at a table in an ordinary restaurant with three other people; everyone has ordered their beverage, and you have ordered tea. Yes, you’ve had to stipulate that it is HOT tea you are ordering and not iced. Their beverages arrive and are set down in the usual manner. A few moments later, the server arrives with a small decorative tray that holds a lovely porcelain or clear glass teapot filled with hot water, a matching teacup in an unusual style, a coordinating plate of accoutrements, along with an assortment of teabags in colorful sachets all tucked into a lovely presentation box. Everyone’s mouth drops. Eyeballs from other tables are all focused on what has been set down in front of you, you just happily go about selecting your tea, making it the way you like it, and adding whatever you desire. How hard can this simple upgrade be? Every restaurant can do this, and much more! What have we upgraded in the vision above? We’re still using teabags, which is acceptable, and with a name brand that isn’t on every grocery store shelf in the country. What we’ve done is upgrade the service of tea. We’ve actually turned it into something! Someone cared enough to order teaware that is befitting of the beverage! It was presented with some style and everything was kept simple. For the savvy tea customer, this should be a good start. If we continue whining for loose-leaf tea selections and water at precisely at 180 degrees, we’ve lost most restaurants right from the get-go. I’m not saying we can’t or shouldn’t expect this at some point but let’s first graduate from the horrible cafeteria metal teapot and clunky mug. Clearly, in four decades, while tea sales and tea consumption have skyrocketed in this country — tea service lags behind dramatically. I hear you Dharlene. I can tell you however that in Portland Oregon, this does not happen any more. Perhaps because this is where Stash, Tazo and Smith tea were founded and we’re a more tea friendly ciy. The vast majority of restaurants serve upscale tea bags in nice mugs. They offer a decent selection as well. No, the water isn’t the correct temperature for green tea, but at least there’s good options and nice tea ware. On those rare occasions when that doesn’t happen, I take the time to speak with the manager. I have also started to speak up with friends. They have a dinner party and take tremendous efforts preparing a delicious meal and serve amazing wine. Coffee is typically offered and if I request tea, it’s often far inferior to the entire evening – unless they’re a “tea person” themselves. I pointed this out to my hostess last week-end. I offered a solution – Buy 4 different boxes of Smith tea in their beautiful boxes. That’s all you need to do to feel like you’re offering any tea guests a delicious cup of tea that is on par with the rest of the dinner. Of course I offer whole leaf options but if their eyes start to glaze over, I go back to the boxes. Hello Michelle, yes, the Pacific Northwest is a bit different from the rest of the country! Thankfully so. Let’s see what we can do to wake the rest of the country up. The profit margin on a cup of both cold and hot tea is amazing and that might have to be the angle with which we approach the food service industry. This is long overdue. Yes, a few upscale dining rooms do a better job with their service of tea — but many are not there yet. I totally agree Dharlene. I am hoping to change the lack of quality tea service when I move and start my own tea business. I have already talked with hotels and cafes. A couple of them are willing to give my idea a trial run…..it’s a start. You are right and the mediocrity of tea service also extends to “good” hotels who purport to serve a proper afternoon tea where what is served with the tea (scones, clotted cream, lemon curd etc) is often the focus and the quality of the tea (and the skill with which it is brewed) is often indifferent or worse. let’s band together to offer education sponsored by the Tea Association. As Michelle knows, we have been working on this problem for years. It has to be right, presented where it makes sense to food service, etc. But, what really frustrates me is that, even within the tea industry, people are willing to accept tea bags as okay. Yesterday, I paid $4.50 for a 12 oz. iced coffee with some fresh mint in it at Philz Coffee. That’s over the top, and I won’t do it again no matter how good it tastes and I don’t drink coffee much at all anymore anyway, but I won’t drink tea out anymore period because it’s just so awful. Here’s my huge beef and always has been: Why are people willing to accept that great coffee has to be from quality beans and then prepared with care and tea can be from dust in a bag as long as the wrapper’s pretty and it’s flavored? I’d better stop now. I think we within the tea industry are as much to blame as consumers. The snobbery of beans, roasting, and preparation by ‘big chains’ and independent coffee places has elevated coffee in the minds of consumers while seemingly making tea a totally half-baked (so to speak) and average experience. 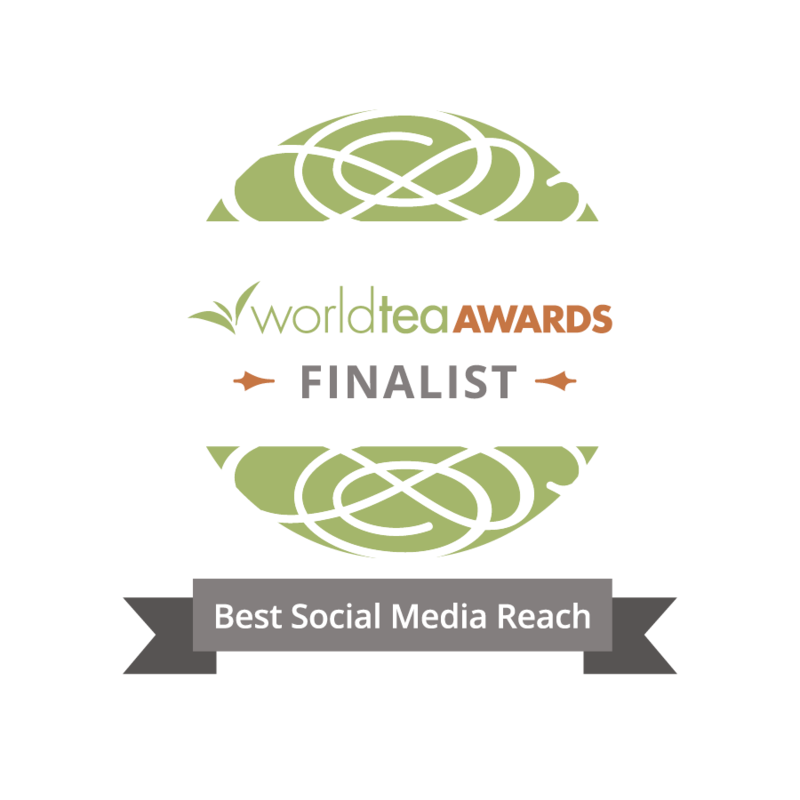 Thank you, Robert and Diane, we clearly do have a tea problem in the foodservice industry. It hasn’t even made it on the radar for most establishments. In the dedicated Afternoon tea places, the tea is inconsequential, and all the attention is on the food. It should then be called Afternoon Sweets more so than Afternoon Tea! I just paid $48.50 to have the same two teapots of a cranberry herbal and English Breakfast tea served all throughout the event. No other options were made available. And no savories were served either! There is even a disconnect in the places dedicated to serving tea! I better not get started on the ‘average’ restaurant and what is served there. Yes, America is long overdue for a tea and tea service upgrade!